With many established businesses closing, Stern LLC launches Stern Marketing Academy to teach SEO, Media Marketing, and Influence. Denver, CO, December 04, 2018 --(PR.com)-- What does a local auto mechanic, a funeral home, and a one hundred-year-old cemetery all have in common? 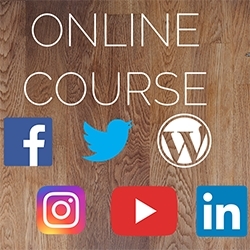 They’ve unlocked the proverbial SEO secrets that elude most entrepreneurs, and they’re effectively using social media to drive profits and influence, thanks to Darrell Stern, the creator of the Stern Marketing Academy. Stern, the previous voice of Scooter Computer on ABC’s Schoolhouse Rock, has developed a unique seven-step process that will create more profits and influence for any local Denver Business. According to Small Biz Trends, most small business owners have come across the term search engine optimization (SEO). Many of them know it is critical to their business online. But prod them a bit more and it becomes clear many don’t know what it really means. 44% of local businesses depend on social media to generate revenue, but ask most entrepreneurs, and they all feel like they’re constantly guessing and pandering to ever-changing social media algorithms. -How to use media as the center of your SEO marketing strategy. -How to write and format videos & blogs for maximum impact. -How to optimize and post to your YouTube, LinkedIn, Twitter, Facebook & Instagram accounts to directly generate new customers.